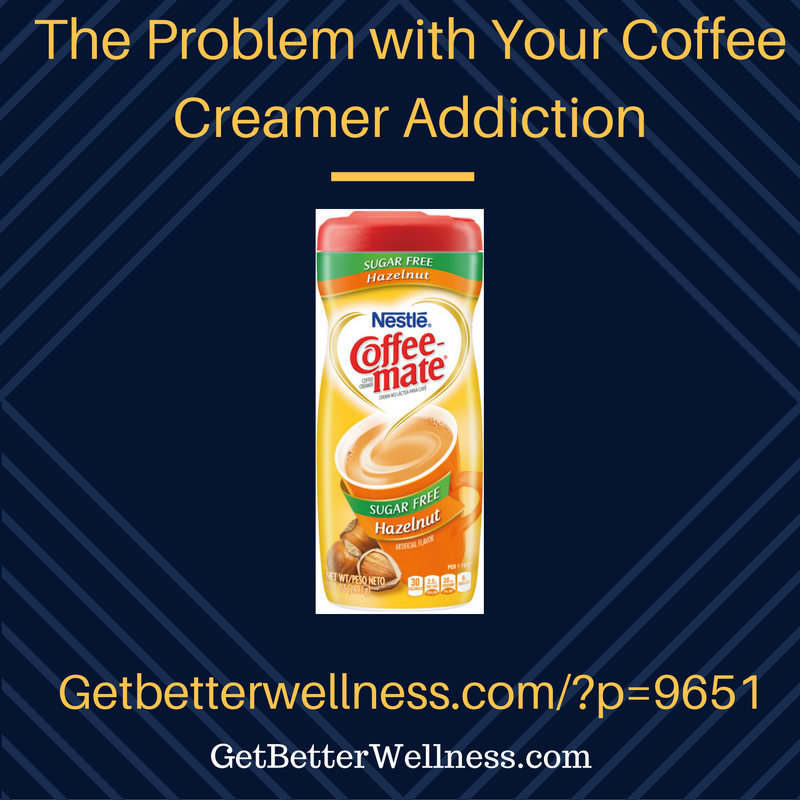 Creamers are big business generating $3 billion in sales annually. 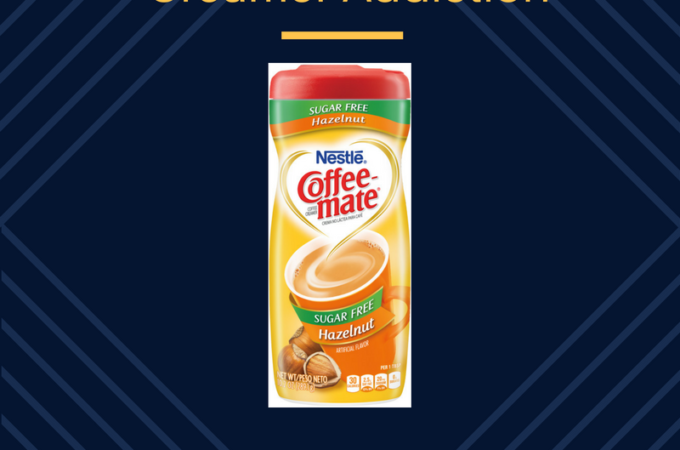 Nestle’s Coffee-Mate Creamer holds 68% of the fake creamer market. Manufacturers want to get you to try their products, and keep you for life by addicting you with the irresistible ingredients. What is in Coffee-mate and is it really addicting? *Excitotoxin/MSG – Excites brain cells to death. Yes, it is chemical soup — but is it addictive? The sugar and MSG are addicting! Physically addicting in your brain. Real cream is full of fat soluble vitamins, congugated linoleic acid, enzymes, beneficial probiotics, and CoQ10. Pasteurization destroys all the good things in raw cream but that is the only way most people can get cream. It is a crime in some parts of the U.S. to sell delicious organic raw cream, milk and fresh butter. 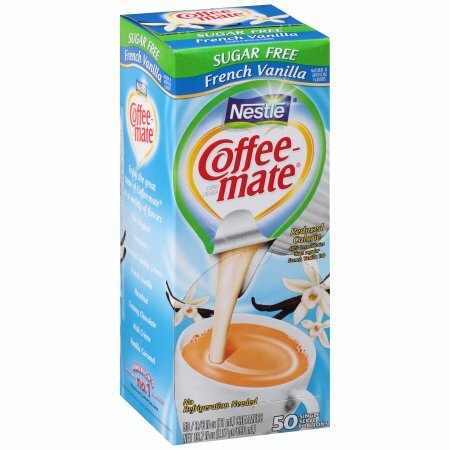 I believe they are arresting the wrong people (like poor menonite farmers) when they should be arresting Nestle’s and other food manufacturers for selling unsuspecting consumers this addicting, harmful, MSG-loaded cinnamon bun-flavored, non-separating, artificially-sweetened, trans fat-laden coffee additive. Bulletproof Coffee is delicious and gets us away from the pasteurized cream that often has carrageenan added. I use an immersion blender to mix Kerrygold Butter into my coffee in the morning. Try it with a scoop of Collagen Peptides! To get an acceptable flavor of hazelnut, try Sweet Leaf’s Hazelnut stevia. There are other flavors too, check them out. Here’s a great recipe, I’m sure you will love it! 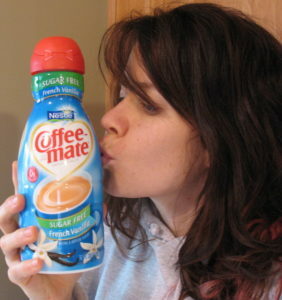 Are you STILL going to drink Coffee-mate? You are free to choose your actions. Are you willing to accept the consequences?